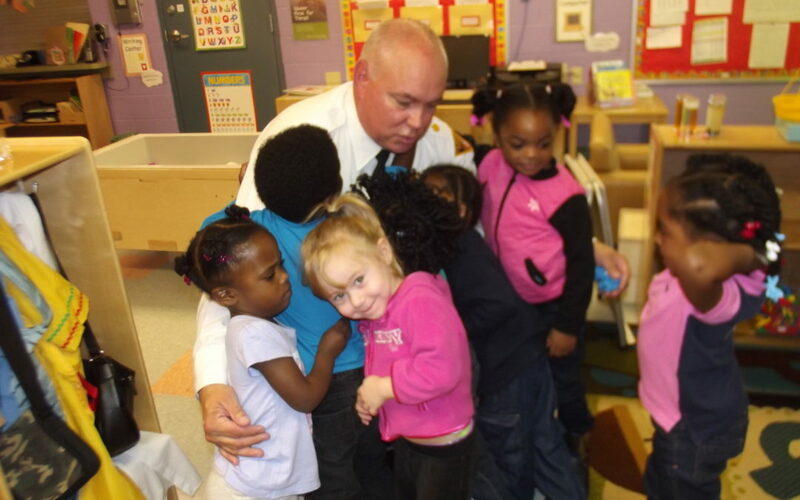 City of Cleveland Police Commander Thomas McCartney reads If You Give a Mouse a Cookie and The Wheels on the Bus to the children at the Council for Economic Opportunities’ Bellaire Head Start Center. It was part of the Friendship through Reading initiative that aims to create an open, positive relationship with the police department. As you can see, the kids loved Commander McCartney’s visit! After he read, he took pictures with the students and answered their questions. It wasn’t just the Bellaire Head Start students who met with a Police Commander. 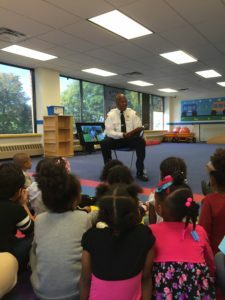 Dozens of children at the Council for Economic Opportunities’ Carl B. Stokes Head Start center met City of Cleveland Police Commander Dennis Hill (pictured above), as he visited the site to read If You Take a Mouse to School to the students. FOX 8 and Channel 19 captured the experience and their cameras were rolling as Commander Hill read to the students and talked to them about what it means to be a police officer. The story about the Friendship through Reading program aired on both channels in their nightly newscasts.